Use the Upload link in the top links row to upload a zipped copy of a Theme that you have previously downloaded to your machine. Select the Tools panel, and then Import. Select the "WordPress" & click to "Run Importer"
Install the WordPress Importer plugin, if you haven't got installed one yet. Choose the docx-demo-content.xml file and click "Upload file and import"
On second screen setup an author and don't forget to check the "Download and import file attachments"! You can also import widget setting via this widget importer plugin. Choose a "Static Page( select below)" in first option "Front page displays"
Home Page Template Settings: Spa Home Page Template Settings. Home Page Template Settings: Personal Home Page Template Settings. 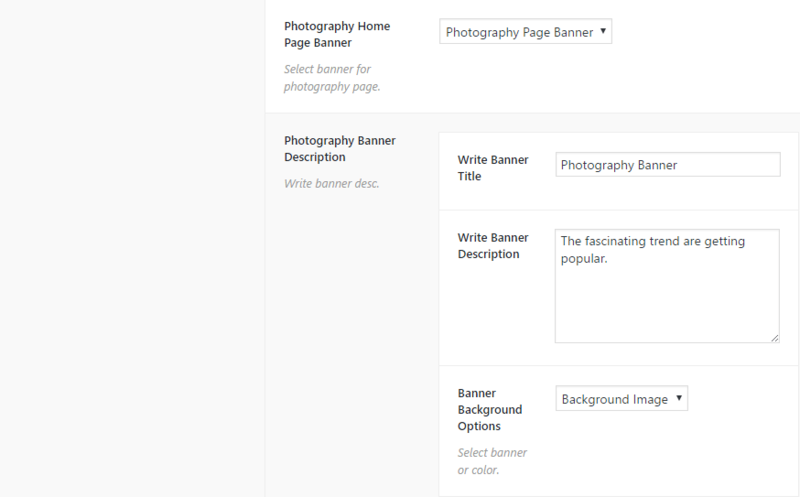 Home Page Template Settings: Photography Home Page Template Settings. Create a Primary Menu Go to - Appearance > Menus. Trcik mark on "Primary" and then "Save Menu". Log in to the WordPress Administration Dashboard. 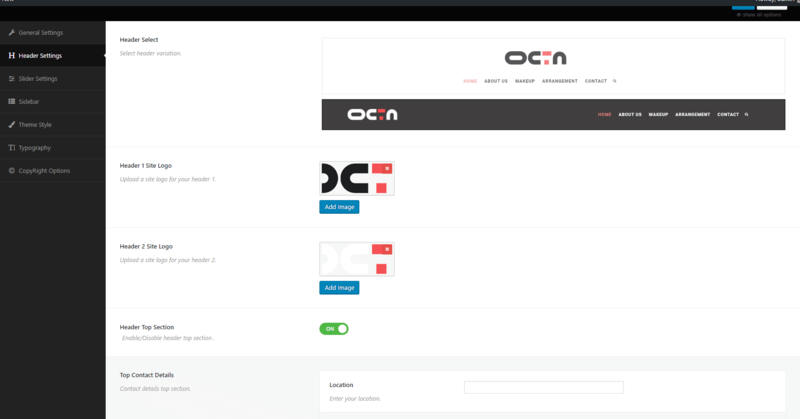 Select the "Octa Customizer" panel. Header Settings: Two Different Logo and Header, Header Top Section Social links. Slider Settings: Main Home Page Sticky Post Slider/Main Home Page Image Slider. Slider Settings: Spa Home Page Sticky Post Slider/ Spa Home Page Image Slider. Slider Settings: Personal Home Page Sticky Post Slider/ Personal Home Page Image Slider. Slider Settings: Photography Home Page Banner/ Photography Home Page Video. Sidebar: Select Options for Right sidebar, Lft Sidebar, No-Sidebar position. 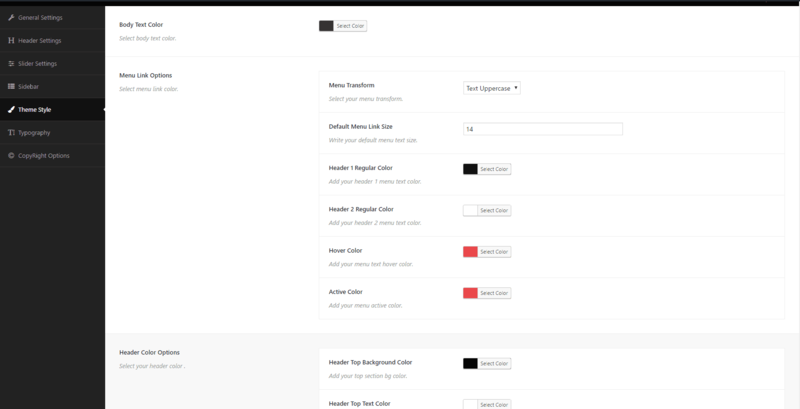 Theme style: Menu Link Color, Header Color, Footer Color. Typography Settings: Custom Typography for your theme. You can use Contact Form 7 plugin for building contact forms. Main Sidebar(Sidebar in Homepage/Innerpage /Category): appears in blog page and single post. All page sidebar: For everypage different sidebar. Footer Widget Area: there are three widget areas in footer. These are actually footer column widget area. 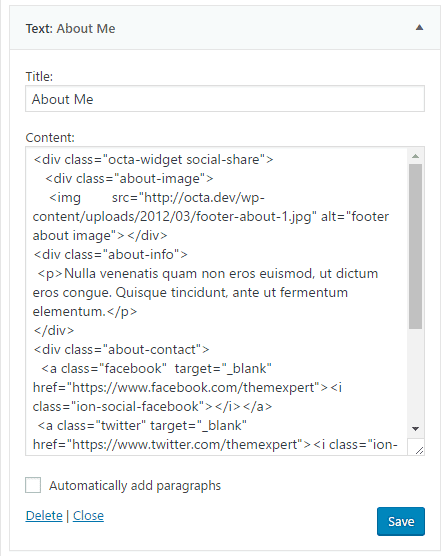 You can define footer column from Widget Option panel. You can find HTML files in /Demo/about-me.html. Copy/Paste on widget text area. Import your Customizer Backup. 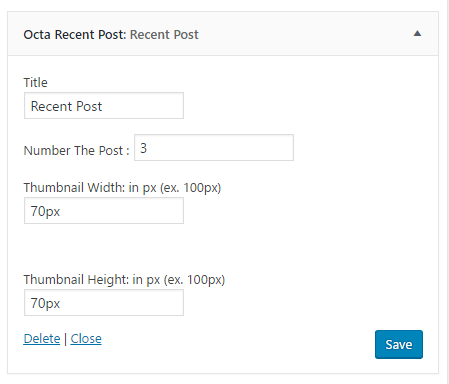 Choose the file demo/octa-customizer-backup.txt and click "Import a Backup"
Thanks To Choose For Octa Wordpress Fashion Blog Theme.